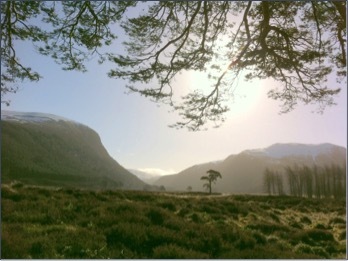 NEMT has long considered that Glen Feshie has become an exemplar of how a highland estate can balance environmental and sporting interests and, as such, represents a modern vision of how estates should be managed. Anyone visiting can immediately see how the bringing deer numbers down to sustainable levels has led to the impressive regeneration of trees and flora. In a similar way to Mar Lodge, the estate has come under pressure from neighbours to abandon its policies, the argument being that their deer numbers have reduced too as deer have migrated onto Feshie to fill the vacuum. The Cairngorms Campaign has written to the owner of Feshie urging him not to change tack (see below) and NEMT has added its name to this letter. We believe representatives of other landowners bring pressure on you regarding your deer culling and other practices in Glen Feshie and likely similar policies in the Gaik Estate. After long experience of land and deer management in Glen Feshie and the Scottish Highlands broadly, we urge that such pressures are resisted and your current policies continued. In particular the emphasis on forest and indeed ecosystem restoration through natural regeneration. Landowners of deer forests have failed to limit red deer numbers to the carrying capacity of the ground for many decades, despite frequent assurances to the contrary and the ineffectual efforts of so-called "Deer Management Groups". Damaged red deer habitat on a broad scale with unexplored consequences. Become the main cause of damage to upland SSSIs and the chief cause of damage to native woodlands. Expanded their range under pressure of overpopulation on their home ranges into large new areas to the extent they are now threatening to become a lowland agricultural pest. Creating a new, forested wild land experience in Scotland. Contributing to carbon fixation. Most carbon fixed by forests lies in the dead wood that does not accumulate under plantation systems. Restoring the important relationship between forests and hydrology. 3.1 River braiding with the formation of islands due to large trees falling in the river, creating often the most biologically diverse parts of river systems. The Feshie is possibly the only Scottish river in which this process can be observed. 3.2 The presence of forests along the banks of rivers and streams has even more important benefits. The rain of overhanging twigs and branches and blown foliage into the river and tributaries increases nutrient inputs to such nutrient poor waters. Large woody debris (LBW) from this rain, important in maintaining fish populations and largely lacking in Scottish rivers, will accumulate in streams and river beds. Much study has clearly demonstrated the importance of LBW in harbouring young fish and species that form part of their food, hence considerably supporting fish populations plus other benefits to biodiversity. 3.3 Potential small rises in water temperatures in response to climate change would prevent salmon and trout spawning and fish dependent species like the freshwater pearl mussel surviving. Shading by bankside trees curbs this temperature rise. A current scheme to achieve this by constructing extensive bankside deerfences to develop fringes of trees in deer forests and grouse moors elsewhere in the Cairngorms will cost the taxpayer £3 million. Forest regeneration in Glen Feshie will achieve this "en passant". 3.4 Recent studies of the consequences of climate change clearly predict a very significant increase in heavy downpours, with potential ensuing rapid flooding. The trend will probably be enhanced in mountain areas. Afforestation of catchments, and also consequent changes within river systems like the accumulation of LWD, are effective in reducing and evening out runoff and preventing flooding. This would stabilise any trend in the Feshie catchment contributing towards increased downstream flooding in populated areas. 3.5 Through such interactions between the restored forest and the river system, the regeneration of the forest will have significant downstream benefits on other landowners and landuses outwith the catchment, including fisheries, flood protection and biodiversity. 3.6 Water management at a catchment scale, including flood control by "soft engineering" of catchments is now an important topic since the EU Water Framework Directive and subsequent national legislation. Glen Feshie is probably the only example of of a complete, or nearly complete catchment seeing natural forest restoration. Hence, it presents a unique and important longterm research opportunity to investigate the above processes. We would be happy to discuss any of the points raised here. On behalf of the Cairngorms Campaign. The Cairngorms Campaign has discussed the issue with the North East Mountain Trust (NEMT) which represents the interests of around 800 climbers and hill walkers through individual and club membership. NEMT is also fully support of the policies implemented in Glen Feshie and strongly endorses what we have said above.